Even though tax season is over, it is still important to remain alert for any tax scams by groups pretending to be the Internal Revenue Service. Some of the most common types of scams perpetrated are telephone scams and phishing emails. While most of these scams seem to follow the same basic structure, you should be wary of ever disclosing important personal information like account passwords or your Social Security number to another party. One of the most common types of scams perpetrated is a phone scam. It is important to note that the Internal Revenue Service does not call and leave automated messages, insisting that you call them back. Sadly, many times the victim is told that they could be penalized or even arrested if they don’t call back. These type of scams obvious play to people’s fears, but again the Internal Revenue service does not call like that in the first place. Criminals can even make it seem like they’re calling from an actual IRS office. This leads many people to believe that the call is in fact authentic. Fraudulent callers have made it seem like they were calling from federal agencies, local sheriff offices and others to seem more legitimate to their victims, thus making it more likely that their victims will pay up. Another common way fraudulent actors try to scam taxpayers is through email phishing scams. The Internal Revenue Service will not start any contact with taxpayers through email. The Internal Revenue Service will also not request personal and sensitive financial information through email either. The IRS usually contacts through the regular standard snail nail. 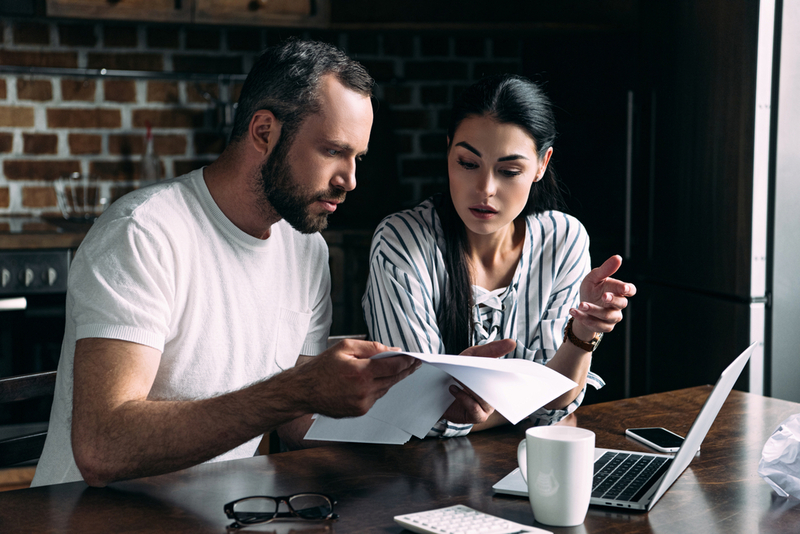 In rare special cases, the Internal Revenue Service will call or go to a home or business if there is a delinquent tax return, a business audit being conducted, criminal investigations or a delinquent employment tax payment. You can report any phishing scams you have received to the IRS at phishing@irs.gov. Some signs of an IRS scam are being threatened to be immediately arrested by police or law enforcement. Another sign is a demand for credit card or debit card numbers over the phone. The insistence on a specific payment method like a prepaid debit card, wire transfer or gift card, all methods the Internal Revenue Service does not use for tax payment. In most cases, the Internal Revenue Service bills a taxpayer through the mail. Any checks to the IRS should be made out to the U.S. Treasury.